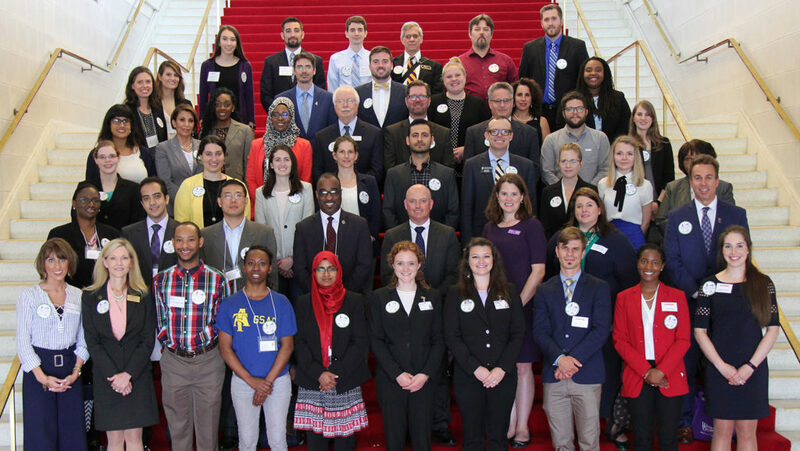 During the last week of May, more than 30 graduate students and their leaders from across the state were on hand for Graduate Education Day 2018 at the N.C. General Assembly to share their research and advocate for the value of graduate education. This was the eighth year for this annual event that brings graduate education professionals and students to Raleigh to share the impact of their research. This year, 32 students from 11 universities in the UNC system visited 54 North Carolina legislators to share their stories about the impact of graduate education. Jurjonas’ research focuses on how diverse communities in rural eastern North Carolina adapt to the threat of sea level rise and coastal hazards. McCoy’s research focuses on understanding the experiences and coping mechanisms of AfricanAmerican faculty, staff and students who experience microaggressions in college settings. Webster-Tostenson’s research involves developing a genetically engineered mosquito that can be released into the wild to create a mosquito population that cannot transmit diseases like zika or dengue fever. The students joined Mike Carter and Laura Demarse, administrators from NC State’s Graduate School, in visiting legislators to talk about their work and implications for North Carolina. McCoy, who is from High Point, shared her story with Sen. Gladys Robinson of Guilford County and with Rep. Rosa Gill of Wake County. Jurjonas met with House Minority Leader and Rep. Darren Jackson of Wake County. Webster-Tostenson talked with Rep. Grier Martin, also of Wake County. Both students also met with a representative from the office of Sen. Jay Chaudhuri of Wake County, who was in a committee meeting. 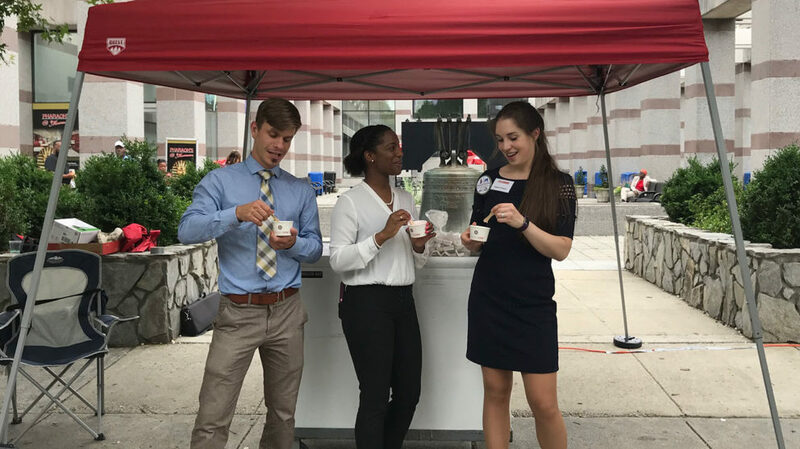 Following a day of meetings, students and graduate school administrators gathered on Bicentennial Plaza, across from the legislative building, to enjoy NC State’s Howling Cow ice cream. The N.C. Council of Graduate Schools also invited legislators and their staffs to stop by for ice cream. Despite a light rain falling that afternoon, most of the ice cream was consumed.